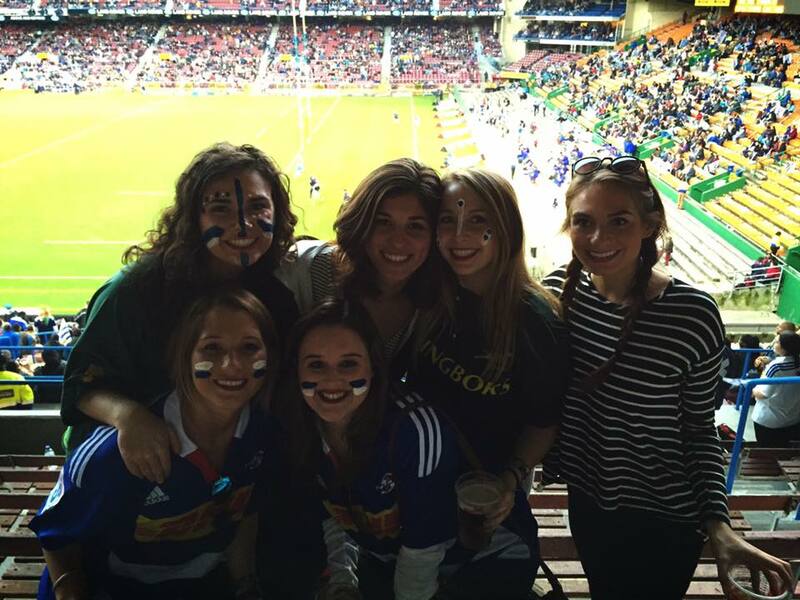 Kelly Major, a junior at the University of Mississippi, enjoyed the unique opportunity to attend a rugby game in Cape Town! For our game about 99% of our students went and this was a great time to bond with everyone on the trip and make connections. Don’t be one of the few that felt left out and didn’t go! For most of us this was our first rugby game and a fun new experience that you can’t get in America. I believe that no one would regret going but most would regret not going. The rugby game was a great time to take pictures with all your friends dressed in fun jerseys and face paint. Perfect Instagram moment. A rugby game is full of spirited fans dressed in jerseys and decked out in face paint. Jump into the situation and make it fun by buying a cheap jersey at the market and painting your face with your friends! The scenery in the stadium is like nothing else. If you are one for the breath taking views, the view in the stadium is very unique with colorful paint and Table Mountain in view above you.